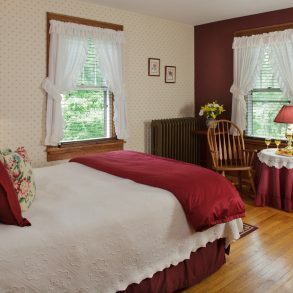 Reserve the Cherry Room at our bed and breakfast near Gambier, Ohio. 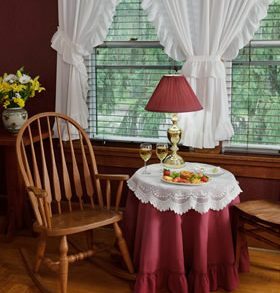 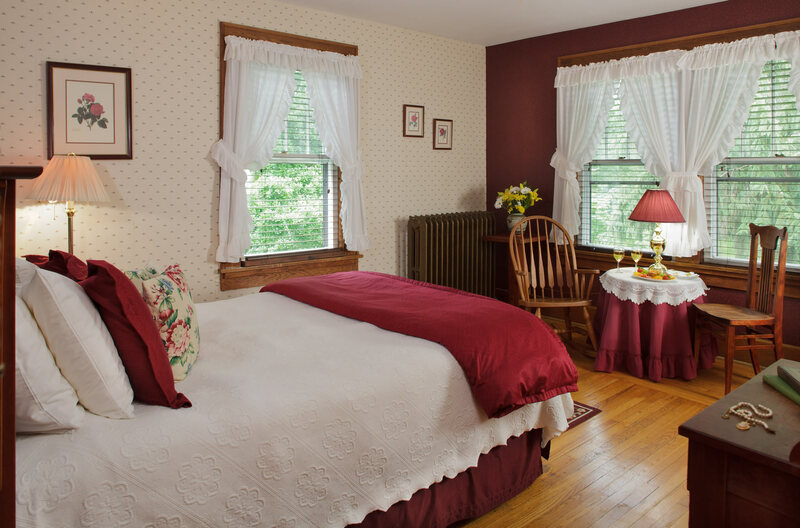 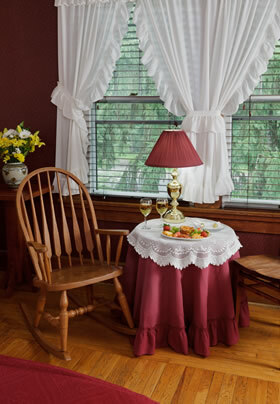 Located on the front of the inn on the second floor, this bright and sunny corner room gives a panoramic view of the inn’s gazebo and the river valley across the road. 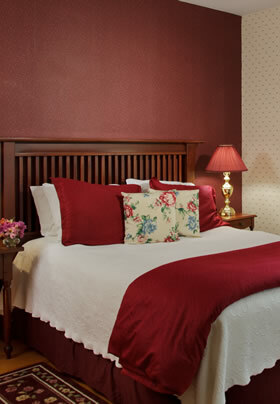 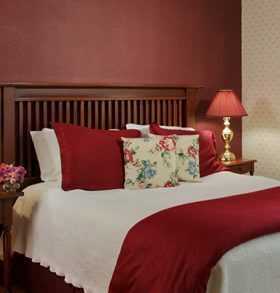 Gentle floral patterns with burgundy accents highlight the queen-size, Amish-built, Mission-style cherry bed.